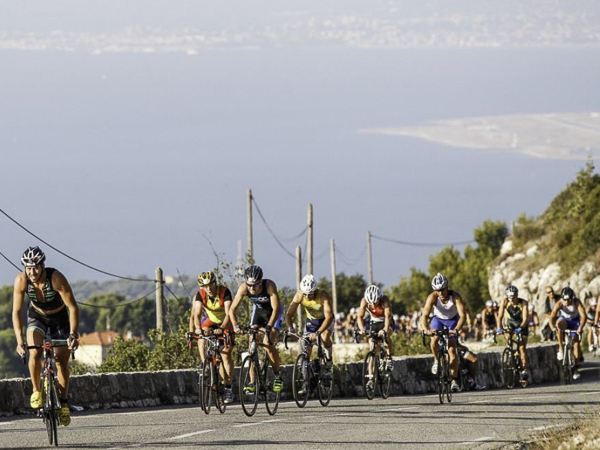 If you fancy some unique road cycling in balmy conditions, with views out across the glistening Mediterranean, then our Côte d’Azur ‘Classic’ package is for you. 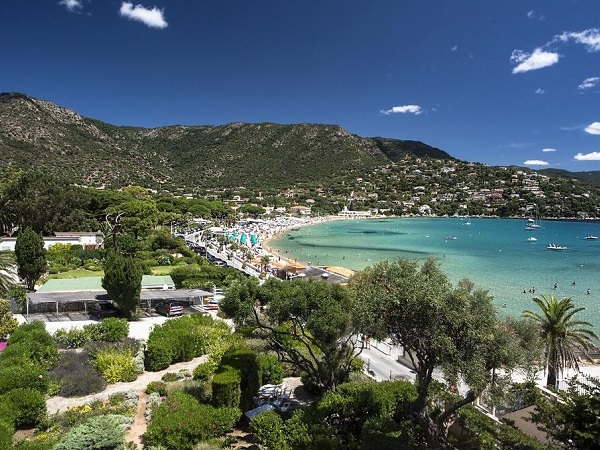 The Côte d’Azur is a beautiful setting for a relaxing short-break, with the stunning blue sea providing an amazing backdrop to some great rides. Our location in le Lavandou mixes the rugged coastline with the quiet hills of the Massif des Maures to provide climbing, cols and views across the Mediterranean. Our ‘Classic’ short cycling breaks are the most convenient and hassle-free road cycling holidays – we make sure that with just 2 days off work, you can enjoy 4 days of great cycling. We provide all the back up support you need – with our team and vehicle supporting you on rides with snacks, drinks etc. This helps you to access the best cycling routes, and also visit the main sights and towns. After a morning’s riding, you can soak up the glitzy atmosphere of St Tropez or stroll round the historic village of Bormes les Mimosas. This beautiful region is our most relaxing location; combining cycling with the beach is a great holiday recipe. We’ll still make sure your legs are challenged, but you’ll have ample time to relax and make the most of your time by Mediterranean as well. It’s not like any riding you’ll have done in the UK… quiet roads snake their way through cork-oak forests up to 400 metres above sea level, leading to spectacular views across out to sea and the Hyères islands. Typically you’ll be riding in 20 to 30 degree heat, with beautiful sunshine making the prospect of stopping at a shady terrace for a coffee or maybe even a glass of rosé all the more appealing. We usually start our rides early to take advantage of the clear, cooler mornings. This means we will either have found a shady terrace for lunch, or be back at the hotel early enough to allow some beach time during the heat of the afternoon. Rides will be between 50km – 100km and could feature between 1,000 and 2,000 metres of climbing, so there’s still a fair riding challenge to be had. We plan each day’s rides to show you the best roads and routes that we know, and our vehicle support each day will lighten the load carrying all spare clothes, drinks & snacks etc. Our base in the heart of the pretty seaside resort of Le Lavandou gives you flexibility to explore the village and its many beaches or stroll along several coastal footpaths. You’ll be a short walk from the sea front and harbour, so very well placed to enjoy your time off the bike relaxing and unwinding. Come and enjoy an early or late season long weekend cycling break to the south Coast of France. We avoid the main summer heat, and run ‘Classic’ breaks here during May, early June, September and October when the conditions are perfect for a warm, sunny and relaxing cycle holiday short break by the sea. The hills are not as big as in the Alps and this region provides a great introduction to road cycling. It’s an ideal place for any first timers looking to experience a road bike holiday in a supportive environment, with full support from our team. All of our weekends are designed to give you the best riding possible in 4 days and to mix challenge with enjoyment. It’s a holiday (albeit an active one) so we make sure we build in time so that you can kick back and relax on the beach too! 4-day ‘Custom Classic’ weekend break – these weekends are based on the ‘Classic’ format but are aimed at clubs and groups who wish to have a slightly more tailored trip uniquely for their group of 6 or more people. Whilst we have some suggested dates on the calendar, please contact us if you have another weekend in mind. ‘Classic’ weekends are designed to give you a varied selection of the best riding to be found in the region. We set a fixed itinerary for rides, but for each day there is lots of flexibility to ride longer or shorter route versions. On each day of a ‘Classic’ cycling weekend break, we’ll head out on the scheduled ride after breakfast at your base. After each ride, there’ll be time back at base to relax and unwind by the beach, before a 3 course evening meal taken at local restaurants. You arrange afternoon flights to Marseille Airport. Our airport pick-up is at 12:00 – transfer to your base in Le Lavandou is 2 hours. There’ll be time to build bikes / set up hire bikes, before dinner is served. A scenic loop ride with great sea views. We start with a gentle warm up along the coast to Bregançon before we head inland to Collobrières. From here we climb Col de Babou and Col du Canadel to take the very scenic Route des Crêtes before dropping down to Le Lavandou. Today we will head out into the hills again for 3 cols before we descend back to the coast. We will break the ride and visit the famous, glamorous port village of St Tropez for lunch and some people watching. After which it’s back in the saddle for the return along the stunning twisting coast road back to Le Lavandou. Another day of inland climbing. We return to the tranquil Collobrière before heading out to the highest point of the Massif des Maures at Notre Dame des Anges. It’s a good challenging climb and is then followed by Col de Babou before a thrilling descent on quiet roads back to Le Lavandou. A fitting way to end the weekend, with an easy touring route on the cycle track to La Londe and the Presqu’île de Giens. Lots of cycling by the sea and a relaxed itinerary to explore the salt marshes, watch flamingos and ride past miles of sandy beaches. 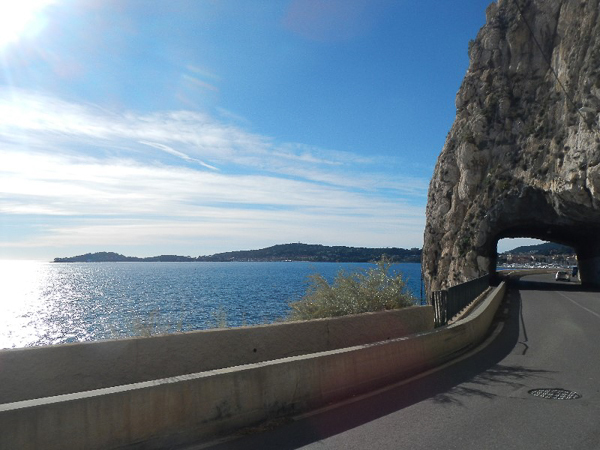 We are fortunate to be able to choose from two different locations for our ‘Classic’ road cycling trips in the Côte d’Azur, each with their own advantages. One option is the Astria Beach La Falaise Hotel and the other is the Auberge de la Calanque, depending on availability. We will confirm the hotel with you at time of booking. Either way, you will receive a friendly welcome and service, in properties with charming character and comfort. All rooms are en-suite; most of them are 2 person double / twins, plus a few larger rooms which can sleep up to 4 guests. Both hotels are in great locations, putting you right in the middle of things just a few steps from the cafés, bars and seafront of this charming, relaxed seaside resort. Everything you need is within very close walking distance; after each day’s riding you can relax in town or take a stroll along the 3km promenade. Le Lavandou has several fantastic beaches, including the stunning St. Clair beach, accessed by a more rugged coastal path with beautiful views. Please note that, due to availability, on some trips to Le Lavandou we may use other accommodation in the town. All of these locations are chosen for their friendly welcome and service, and their charming character as well as a convenient location. You will enjoy some fabulous food during your stay, feasting on local fish and fresh Provençal fruit and vegetables. Breaks include a 3 course set menu; ordering à la carte is possible, with additional costs payable directly to the restaurant. Wine and additional drinks from the hotel are purchased on an individual basis, again payable directly. 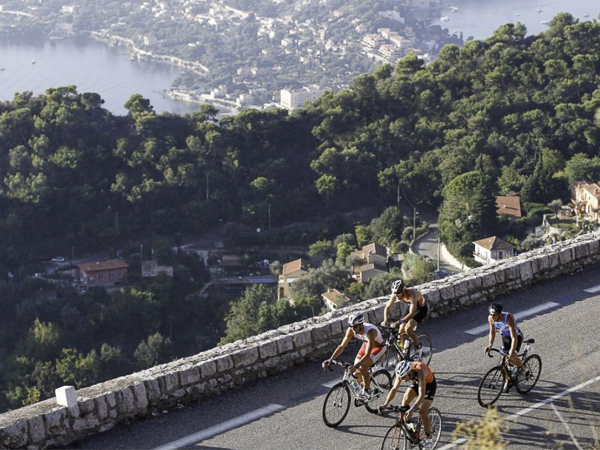 Interested in a Road Cycling Break on the Côte d’Azur? Looking to book a 'Classic' Côte d'Azur break?